Syracuse, NY, January 12, 2018 — The Institute for Veterans and Military Families (IVMF) at Syracuse University announces the appointment of two new members to its external advisory board. JPMorgan Chase Vice Chairman John Donnelly has accepted a seat on the IVMF Board. 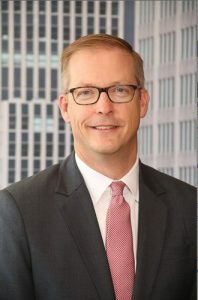 David Owen, the Global Chief Administrative Officer at JPMorgan Chase & Co. will also join the IVMF Advisory Board as its co-chairman, assuming co-leadership of the Board with Daniel A. D’Aniello (’68), cofounder and chairman of the Carlyle Group. The IVMF will leverage Owen’s years of expertise in global business development, marketing and integration as it continues to grow and support military veterans and their families. With his background in Human Resources and leadership training, Donnelly will lend his extensive experience with global financial institutions to assist the IVMF with its national program expansion and sustainability efforts. Owen and Donnelly have been instrumental in driving JPMorgan Chase’s commitment to positioning service members, veterans and their families for long-term post-service success through its many programs including its signature facilitation of the Veterans Job Mission, a coalition of 240 large companies committed to hiring one million veterans. Owen and Donnelly will now bring that same passion and advocacy to the IVMF. Members of the IVMF Advisory Board come from industry, higher education and the veteran and military community. They provide advice and counsel to Institute leadership, and confer insight and input focused on the institute’s strategic objectives and planning process. The board also helps to assess the impact of IVMF programs, and makes recommendations related to future programming and areas of strategic focus. 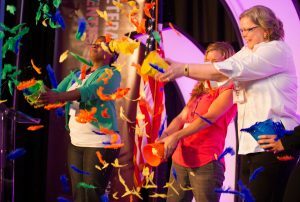 Here’s a complete list of IVMF board members. John Donnelly is a Vice Chairman at JPMorgan Chase and Advisor to the Chairman & CEO and the Firm’s Operating Committee on senior talent and other workforce matters. 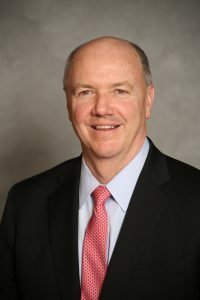 From 2009 until 2018, Donnelly was Executive Vice President, head of Human Resources, for JPMorgan Chase and a member of the company’s Operating Committee. Prior to joining JPMorgan Chase in January 2009, Donnelly was head of Human Resources for Citigroup. He was a member of Citi’s Senior Leadership group from 2000 to 2009. From 1997–2000, he was head of Human Resources for Salomon Smith Barney and a member of the Operating Committee. Donnelly joined Smith Barney in 1978 and became head of Human Resources of the firm in 1994. Donnelly is a graduate of Cornell University’s School of Industrial and Labor Relations and currently on the Dean’s Advisory Council. He serves on the board of Syracuse University’s Institute for Veteran and Military Families. He is the executive sponsor of JPMorgan Chase’s Veteran Business Resource Group and is on the company’s external Military & Veterans advisory council. Donnelly also serves on the Boards of two not-for-profit groups: the Health Transformation Alliance, an organization which brings together over 50 of the largest U.S. employers dedicated to making improving in the cost and quality of healthcare, and Guiding Eyes for the Blind, a charitable organization that provides trained guide dogs for visually impaired individuals. He lives in Rye, New York, with his wife Nancy. David Owen is the Chief Administrative Officer of JPMorgan Chase. The Chief Administrative Office is comprised of multiple global functions that support JPMorgan Chase’s businesses in 60 countries, including operations, real estate, security and investigations and the Global Service Centers in India and the Philippines. Most recently, David was Chief Financial Officer of Consumer & Community Banking, which encompasses all of Chase’s consumer businesses, including Consumer Banking, Mortgage Banking, Card Services, Auto Finance, Business Banking and Chase Wealth Management. Before joining JPMorgan Chase, David worked at Bank of America for eight years. During his time there, he had a variety of line and staff roles, including running Bank of America’s Online and Mobile channels, managing Fraud and Claims operations and running the Retail Payments P&L. He was also responsible for Consumer Bank Marketing and ran the LaSalle Bank transition. Previously, David was a Principal in Booz Allen Hamilton’s Financial Services practice in New York. During his seven years at Booz Allen, he worked on a range of strategy, marketing and cost re-engineering projects in the United States, Europe, Australia and Asia. David serves on the Board of Directors for the United Way of New York City and for the American Red Cross of Greater New York. He received a bachelor’s degree in political science from the University of Michigan and a Master of Business Administration from George Mason University. He is also a graduate of the U.S. Army Airborne School, and served in the U.S. Army Reserve.